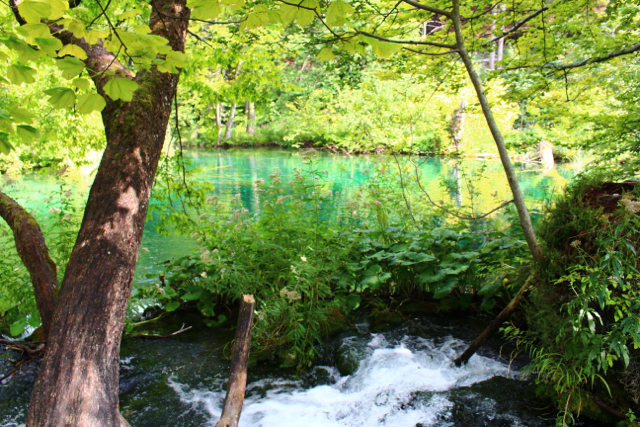 When we left Sarajevo we knew we had a 7-hour bus ride to Split, Croatia. What we would soon learn is that all bus rides, when run by a Croatia company will be at least an hour longer and will likely be driven by rude men who will shoo you away with hand gestures when you ask them if there is a trash can. With this we were abruptly shoved out of our Bosnia wonderland and into the land of disdain for Americans, otherwise known as Croatia. I haven’t figured out exactly why they dislike American’s so much but they do. 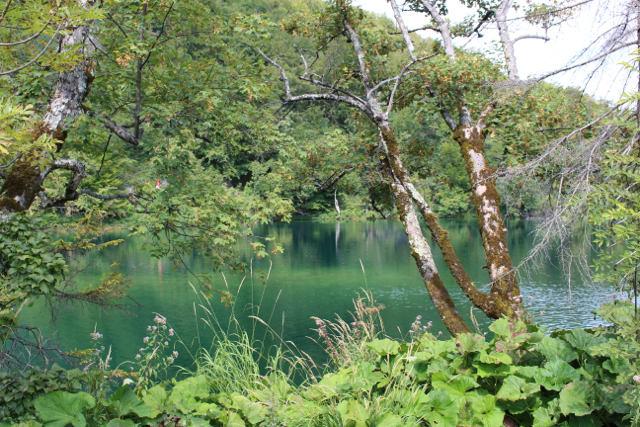 With that said, it is an incredibly beautiful country and I enjoyed it for its beauty but if you plan to go, just expect the locals to be extremely rude. 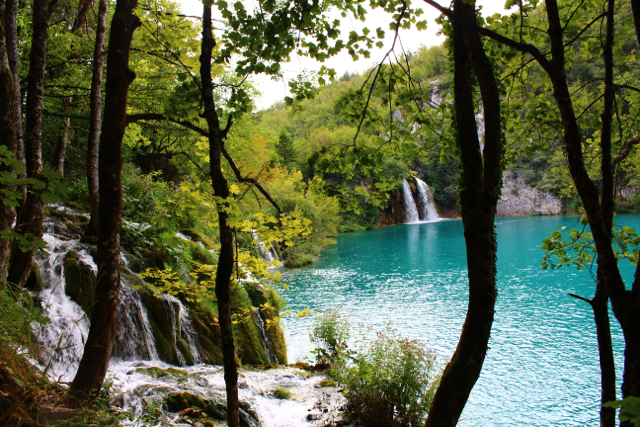 Unlike Bosnia Herzegovina where you should go for the beauty of the country and stay for people, in Croatia, go for the beauty but leave because of the people. 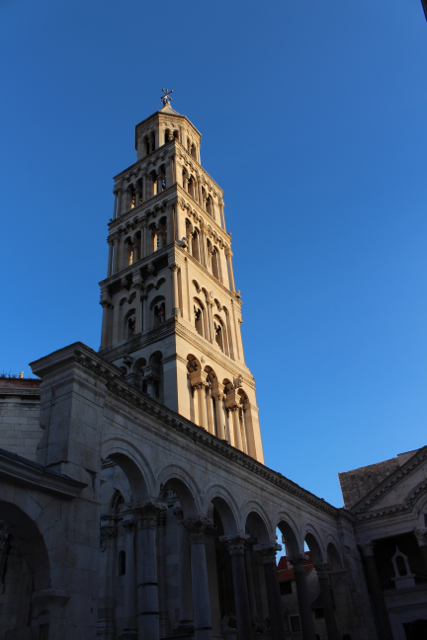 Anyway, when we arrived in Split, we found our hostel and then walked around the Old City. There is a beautiful cathedral within the city walls and you can walk up the bell tower to gain an incredible view of the entire city, but to get there, you have to pay 15 Kuna. You also have to pay 25 Kuna to get into the Cathedral. I suppose I can rationalize charging money to walk up the bell tower, but to charge an entry fee into a place of worship, in my opinion is unacceptable. I could understand requesting donations or charging to light a candle, but to simply walk inside and absorb the beauty and wonder that is a place of worship and a house of god, seems against all things He teaches. After walking around the city some more, we headed up to a spot called Marjan which is a bluff overlooking the city to try to catch the sunset and have a drink. When we got up to the top, we realized that we wouldn’t be able to see the sunset from there anyway, so we just had a seat at a bar up there and ordered a drink. As we were sitting overlooking the city of Split, we both said, “I miss Sarajevo” and for a few minutes, contemplated cancelling the rest of our Croatia portion of the trip and catching the next bus back there. In the end, we knew that we needed to continue our trip, and not back track, that the time will come for us to return to Sarajevo in the future, after all we did drink from the fountain, but now was not that time. 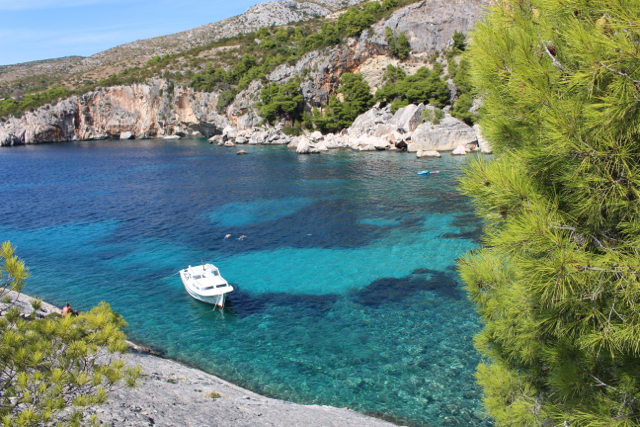 In the morning we caught the catamaran ferry directly to Hvar, an island off the coast. 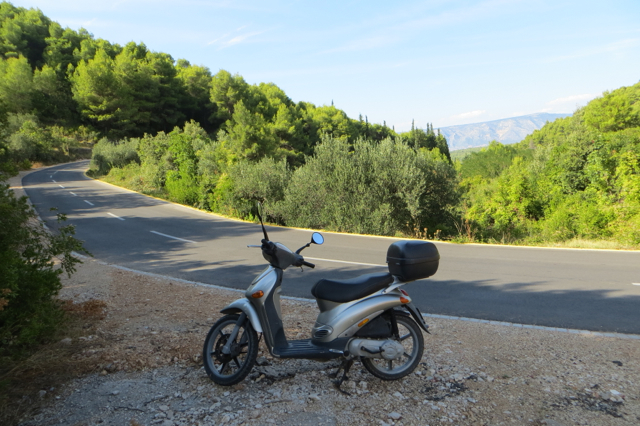 We knew we were going to be limited on time, only a day and a half to explore the whole island, so right after we checked in to our hostel, we rented a scooter and went exploring. About 10 minutes out of town we saw a little bay that called to us with is perfectly clear blue water so we turned on to a little dirt road to check it out. When we got down to the bay, we jumped in for a swim and there was another couple swimming as well. The man was doing flips off the boat and the woman said, “Some kids never grow up”, we all laughed and Ronen replied, “I’d be right up there with you man!” Little did we know, that our chance encounter would lead to an incredible friendship. It turned out that Barry and Jess, are married, have been traveling for almost a year and are just finishing up what Ronen and I have just begun, a trip around the world. 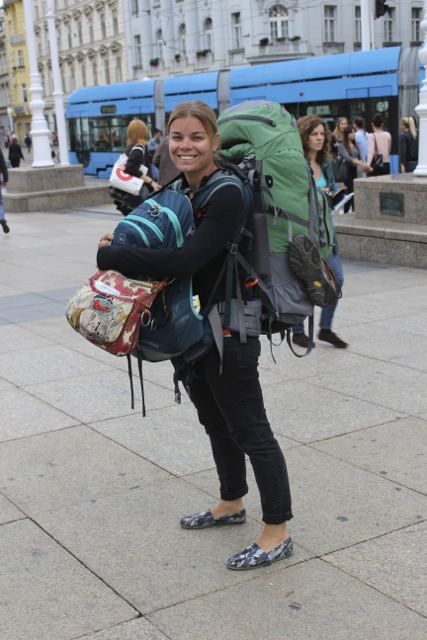 It has been so rare for us to meet other travelers who are close to our age, are married, and are traveling like we are, as travelers, not tourists. It was really a breath of fresh air to talk to them. 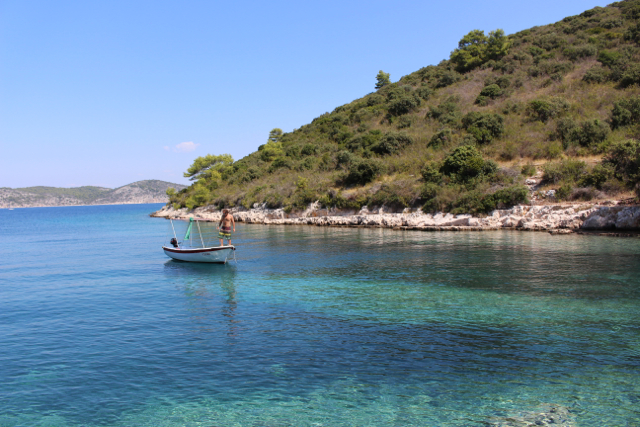 We had already planned on renting a boat the next day to explore some of the smaller islands around Hvar, so we invited them to join us and then left to explore the rest of island before we lost daylight. 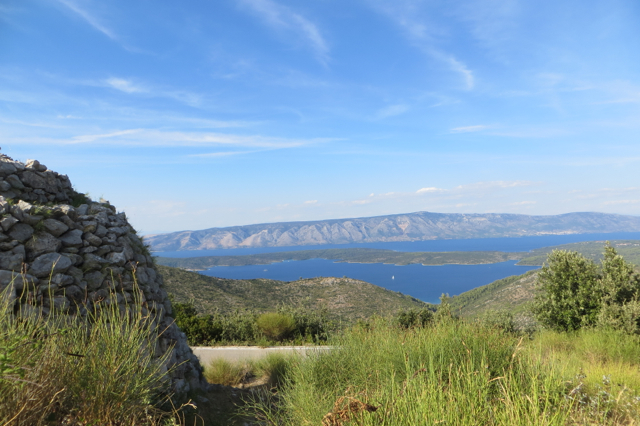 One of the beautiful things about Hvar, is that they grow lavender on the island. Unfortunately, when we were there, the lavender wasn’t blooming but there were stands all along the highway selling dried lavender and lavender products, so you would get the fragrance of lavender when you were driving down the road. Along the drive we found some hidden beaches, a cute little restaurant and bar, and a couple of old Lime Kilns. 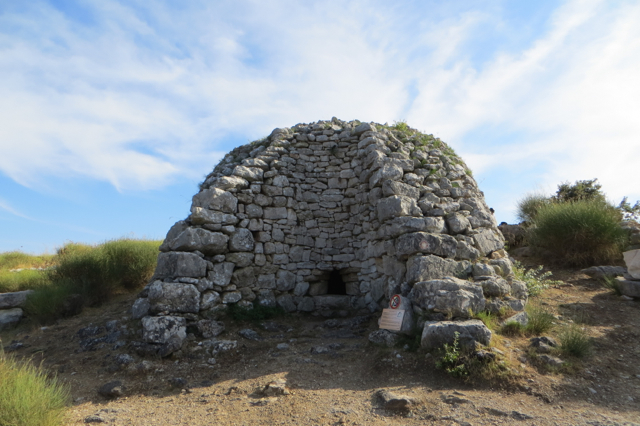 Lime used to be a major industry in Hvar before WWII when all the men were drafted into the war. 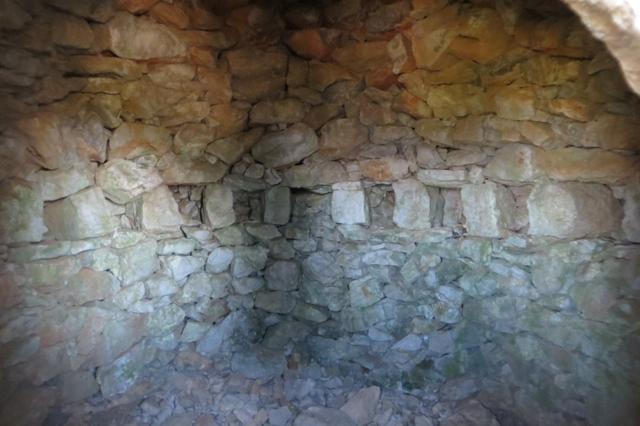 Today, you can still see some of the kilns along the highway that were never used. That evening, we went over at Barry and Jess’ place for a few drinks and found out that we actually have a ton in common. They are both divers, they love animals, they are adventurous, and one of the rare qualities in couples these days, they truly respect each other. It was a great way to end our first day in Hvar. In the morning we met and headed out for our boating adventure. The sea and the sky couldn’t have been more beautiful. We went snorkeling and free diving, we explored the coastline of the islands as well as soaked up the sun. For lunch, we stopped in a little cove and made sandwiches and had a few beers. 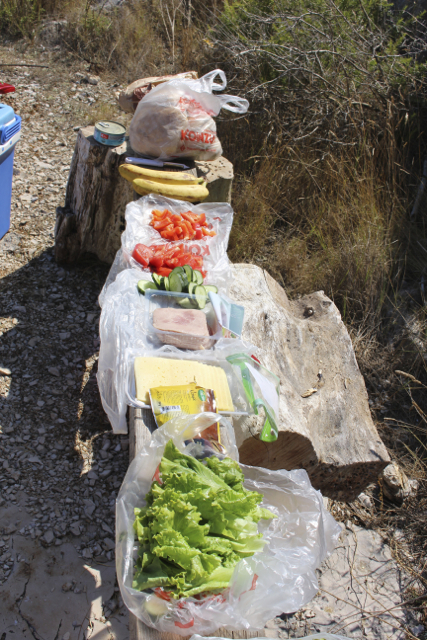 There is something so tasty about a lunch like that when you have been on the water. It was so much better than anything we could have found at a restaurant and at a fraction of the cost. 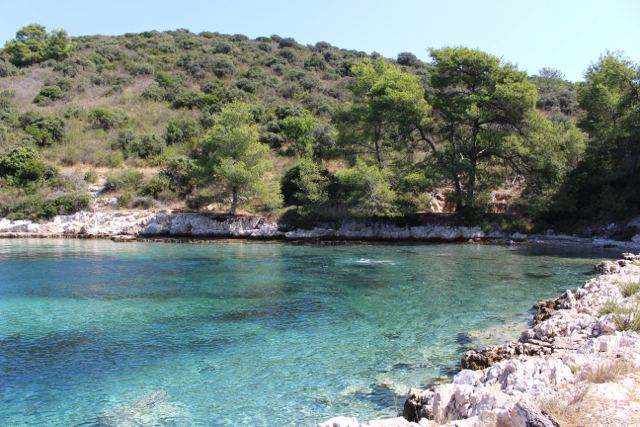 After lunch we decided to head to a famous beach on Hvar, Robinson. It was beautiful! The pebbles on the beach are unique, they are found only on that beach on Hvar, nowhere else. So we anchored the boat and swam to shore for a drink and to see the pebbles up close. Unfortunately, our computer somehow deleted all but 3 pictures from our GoPro from our boating day, so pictures of Robinson and our free diving were all lost. 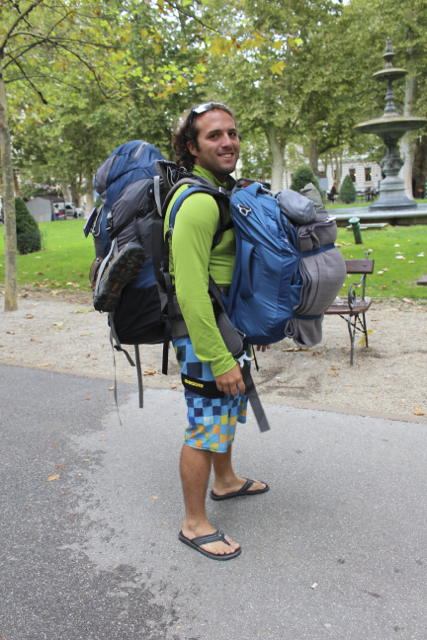 After Robinson, we had to head back because Ronen and I had a ferry to catch back to Split that evening. It’s always tough saying goodbye to people, but saying goodbye to Barry and Jess was more of a see you later. I think, someday down the road our travel paths will meet again. 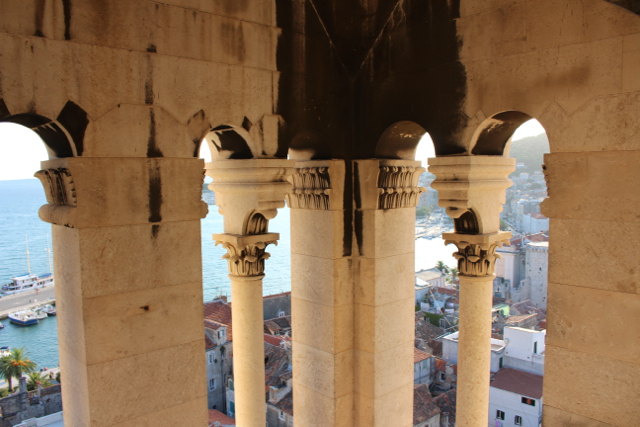 When we got back to Split, we found accommodation right inside the walls of the old city. We thought that it would be a great place, but unfortunately it was right by the Cathedral and the bells go off every fifteen minutes starting at 6 AM. Even with earplugs in, the bells woke me up with a jolt, but of course Ronen slept through it. 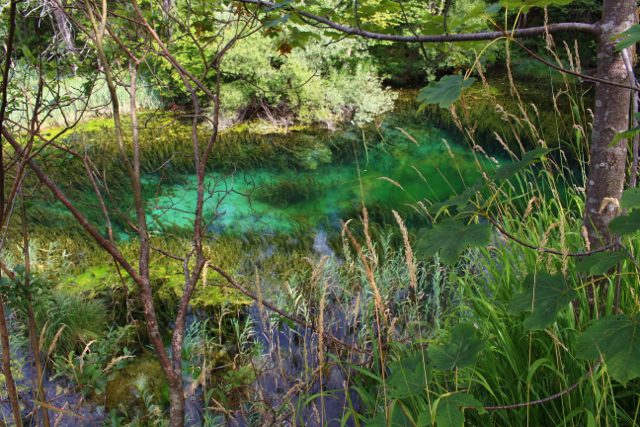 Luckily, we had to get up pretty early anyway to catch a bus to Plitvice, so we weren’t missing out on that much sleep. On the bus to Plitvice we ran into Casey, who we had met in Sarajevo, was on our bus from Sarajevo to Split, and then again on our bus to Plitvice. 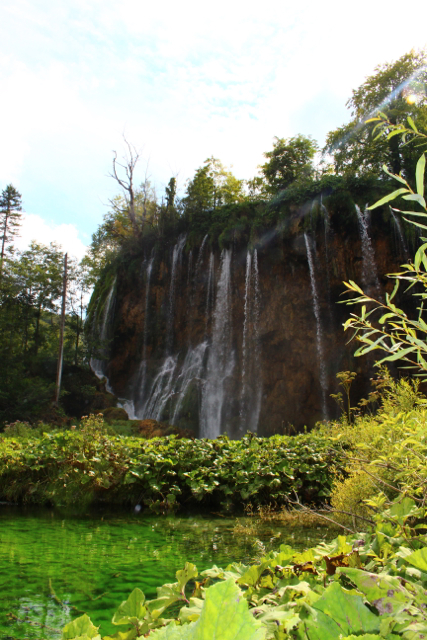 Its fun when you run into people again and again without expecting it and we ended up spending our afternoon exploring Plitvice with her. 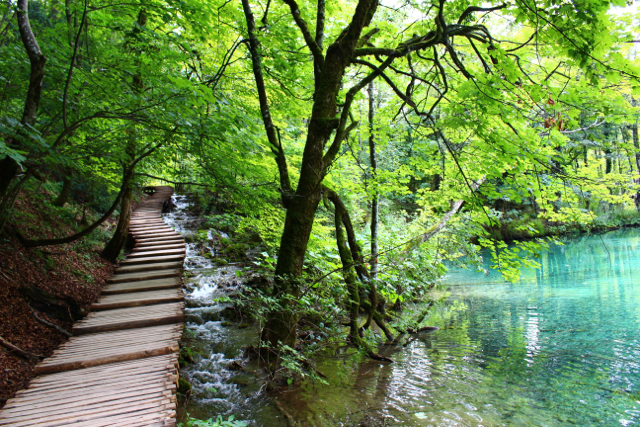 Plitvice was incredible. All the pictures we had seen didn’t even begin to show how beautiful it really was, as well as how impressive the entire place is. 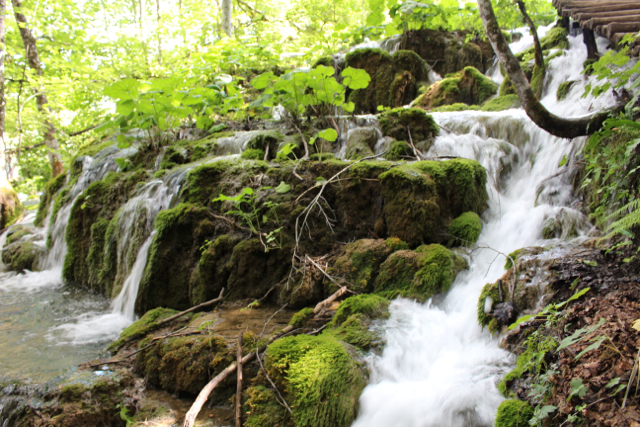 There are so many waterfalls it almost gets to the point where you say, “Oh look, ANOTHER waterfall.” Ronen and I both said that it makes all the waterfall hikes we have ever been on look like a garden hose dripping over a garden rock wall. 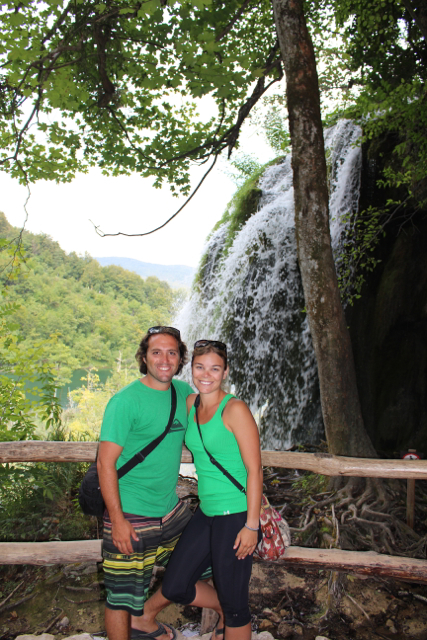 We didn’t have a lot of time to wander through Plitvice National Park because we had to catch a bus to Zagreb, the capital of Croatia, that evening so we could then take a train to Ljubljana, the capital of Slovenia the next morning. We ended up cutting it really close. 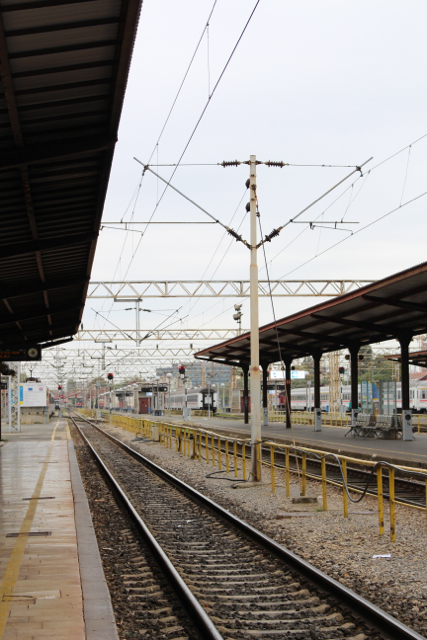 A big thank you to the rude Croatian tram driver who refused to stop for us even though we arrived at the stop just as he was pulling away and when we were running next to him. He clearly saw us and probably heard all of us yelling and then eventually cursing at him. The trams in the park only run every 20 minutes and it would take another 10-15 minutes after it arrived for us to get to the bus stop. We had 30 minutes before our bus arrived. 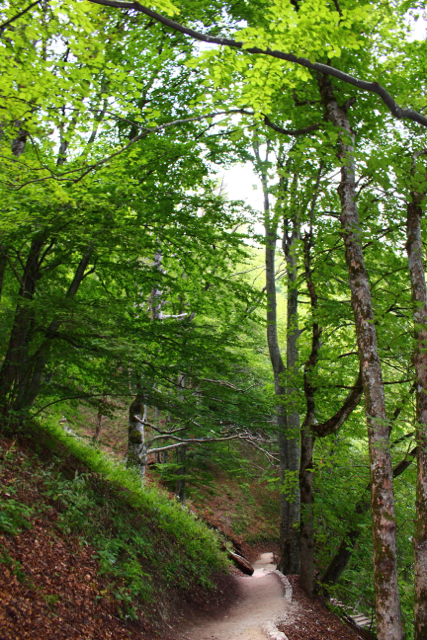 In order to make it in time, we had to run about two km in flip-flops, after an eight km hike. Again, thank you Croatia for your hospitality. 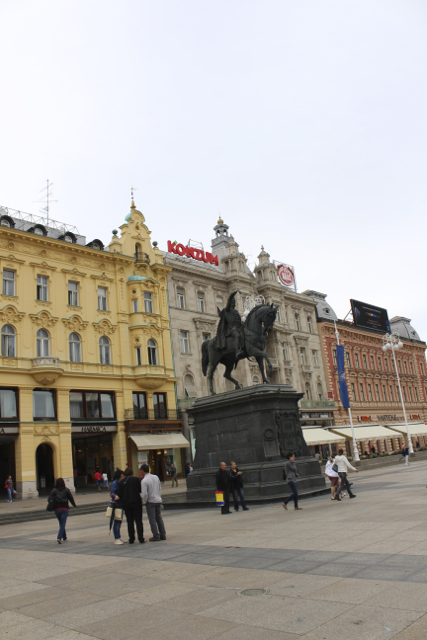 We did catch our bus and made it to Zagreb without any incident. We found a little apartment by the hostel Casey was staying at. That night we all went out for pizza and beer. 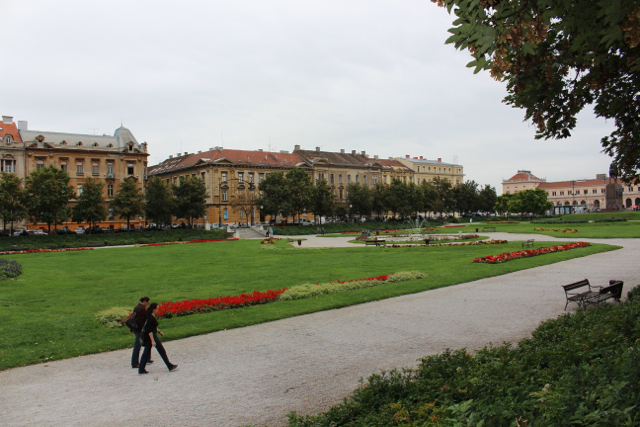 I wasn’t feeling to good, I had started to get a cold again so we called it a night pretty early and in the morning we walked around Zagreb a little bit before walking to the train station. 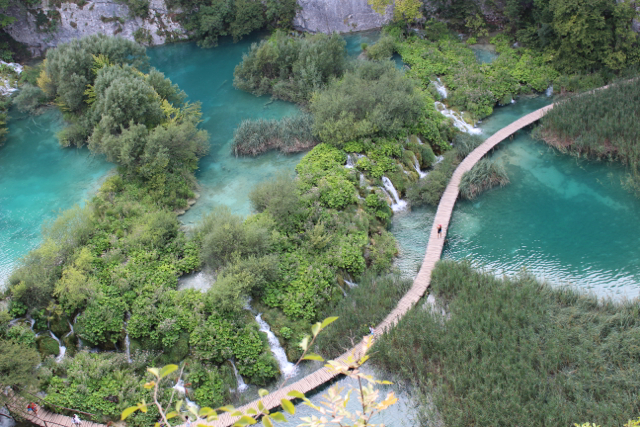 Overall, I did enjoy Croatia for its beauty and for the people we met along the way. 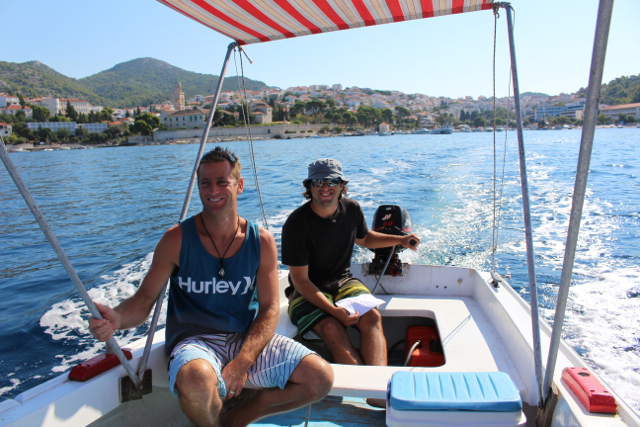 Thank you Barry and Jess as well as Casey for making our time in Croatia so much better! 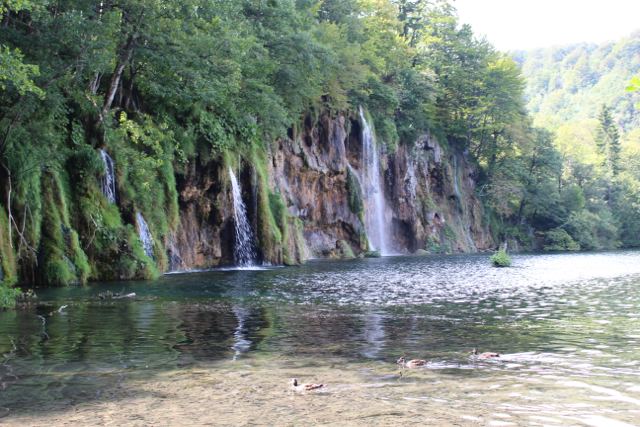 Paradise in Plitvice – How enchanting – Probably, one of the most beautiful places on earth – “Travelers” as opposed to “tourists” – Charming distinction – Travel on, my loves!